Taking inspiration from the effortlessly cool decor of America’s Golden State, this trend is a modern take on boho. Think rattan furniture paired with fresh white walls, given warmth and texture with plenty of pale, natural wood and indoor plants. This trend should make your room feel spacious and light - add a couple of large mirrors if you’re working with a smaller space. Accessorise with palm leaf print cushions or a Berber rug, but don’t go too wild as California cool is all about pared-back, understated design. Long gone are the days of stark white kitchens with grey formica worktops. People are becoming increasingly creative with their decor choices in this room, and in 2019 it’s all about dark kitchens. Cabinets in deep shades of navy, forest green and charcoal make kitchens look contemporary and on-trend, especially when paired with marble worktops and brass or gold accessories. Doing things on a budget? Buy standard white or wooden cabinets and paint them yourself, then splurge on sleek handles and taps for a high-end look. Another big interiors trend for 2019 is mixed metals. Rose gold is out, and all-gold-everything is no longer top of our list. Instead, use a few different types of metal throughout your room to give a more laid-back look. Mix gold and brass with black or grey metal, or even silver accents. Don’t be afraid of not having a matchy-matchy room - sometimes mixing things up looks way cooler. This year, we’re taking a lot of inspiration from the oceans. 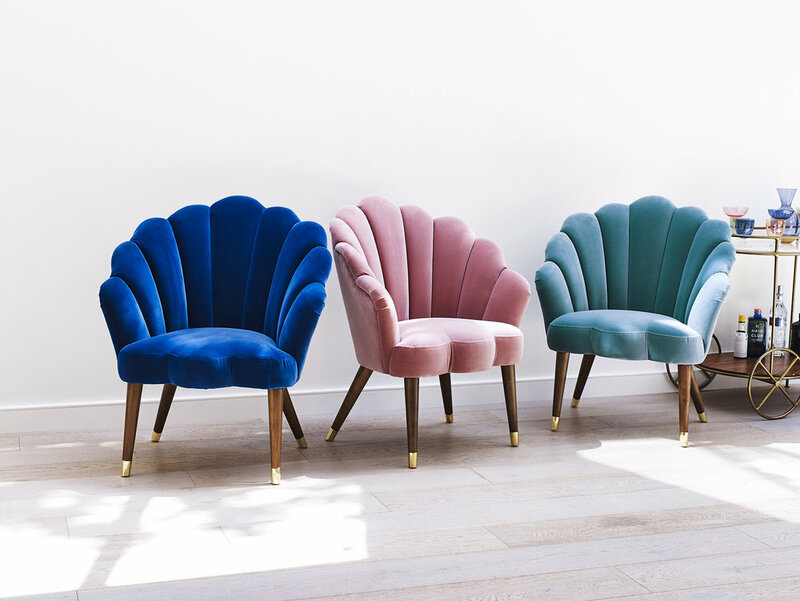 Don’t worry, we’re not going all Little Mermaid on you, this trend is all about taking small aspects of aquatic design and incorporating them into your home - whether it’s a colour, a shape or an accessory. Think velvet chairs with scalloped backs, deep shades of teal or aquamarine, or fish scale tiles to give your bathroom a modern makeover. Good news for cocktail connoisseurs: home bars are big this year. Leading on from the bar cart trend, in 2019 we’ll be seeing even more home bars making their way into our living spaces. Take inspiration from the 1950s and get yourself a mid-century style cocktail cabinet, complete with spaces for bottles and glasses. If you haven’t got space for a cabinet, a dinky little trolley or cart will do the job nicely. This sunshine shade is making a comeback, but this time in a much more modern way. 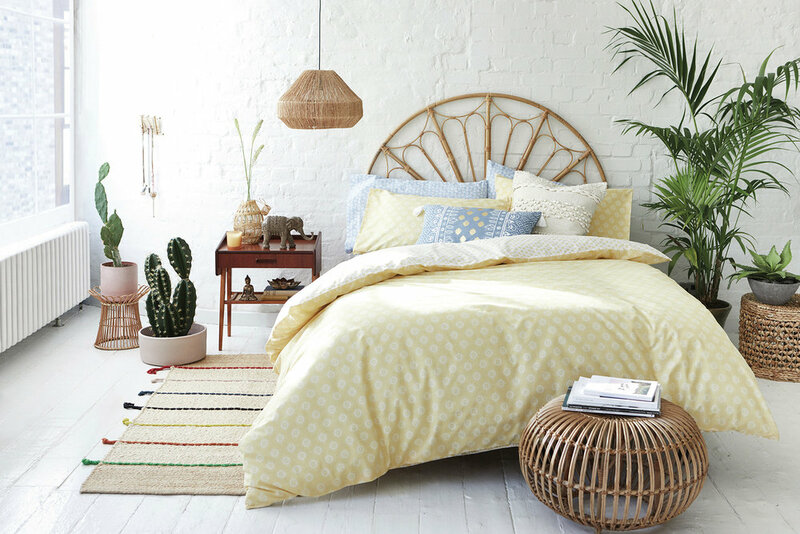 Rather than painting your entire room yellow in an effort to brighten it up, stick to yellow accessories instead. A statement mustard sofa, a yellow metal bed frame, bold yellow hexagon tiles in the shower or a yellow runner rug in the hallway… the options are endless. Mix with neutral shades and for cool, laid-back decor, or pair with other bold colours and big patterns for a maximalist look. To add a bit of luxury to your home, embrace this year’s trend for spa-inspired bathrooms. No matter what style of bathroom you choose, it’s all about decadence and grandeur - think freestanding baths, lots of marble, matte finishes and mood lighting. Don’t forget the luxury toiletries, plenty of candles and some fresh flowers or greenery.